Normal Aquatics offers New Bedford, MA aquarium repair and upgrade services to our clients throughout the Massachusetts and tri-state area. We understand that if you have an aquarium that has been neglected or is need of repair, it is crucial to perform aquarium maintenance services as soon as possible in order ensure the overall health of your fish, reefs and corals. We utilize our many years of experience and combine them with the most modern aquarium components available to get your aquarium up and running at its most efficient capacity. The main object in performing aquarium repair and upgrade services is to incorporate fail-safe systems into the various functions of your aquarium system. No matter how new and expensive each component of your aquarium is, there is always the possibility that it will break or fail and jeopardize the health of your entire aquarium. By utilizing fail-safe methods when upgrading your aquarium, you will not have to worry about a defective sump pump or a total loss of power destroying your tank and ruining your investment. 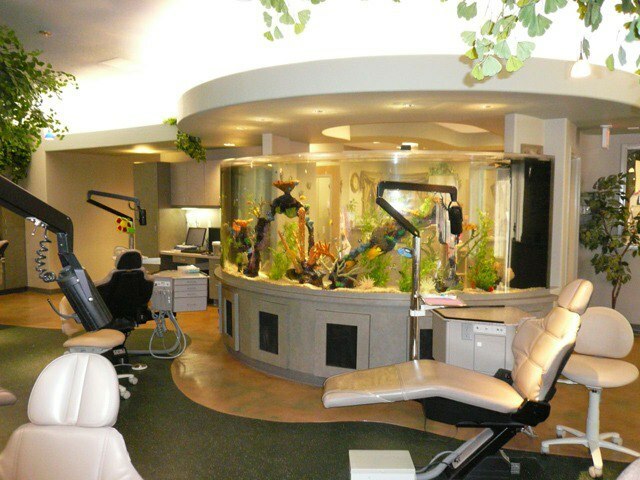 We have compiled a list of some of the most popular aquarium repair services that we offer. You can contact Normal Aquatics at (203) 292-5922 for a free consultation and we will send an experienced aquarium repair technician to your location to perform a full analysis of your fish tank, the health of the livestock, reefs, and corals inhabiting your tank, and all of the equipment for your tank. We can then give you a comprehensive report and appraisal that will present the direction in which we believe will be best suited, in order to get your tank running at its most efficient level. Normal Aquatics offers a New Bedford, MA aquarium upgrade package that take your outdated aquarium system and improve its functionality by modernizing all of its components and equipment. This will help you save money on reducing the energy costs within your household or commercial business as well as improve the overall health and happiness of your fish. We can perform upgrades to aquarium components such as LED Lighting, reflector upgrades, install energy efficient pumps and filters, skimmers, sump pump upgrades, and much more. We believe that every aquarium system is unique and will require a customized approach in order to maximize efficiency. Normal Aquatics of Connecticut provides custom aquarium installations, aquarium maintenance and repair, and custom pond installations. Our service area includes the following towns and surrounding areas Boston, Providence, Springfield, New Bedford, Fall River, Brockton, Cambridge, New York City, Northern New Jersey, and all of New England.Contact us today for a FREE Consultation!